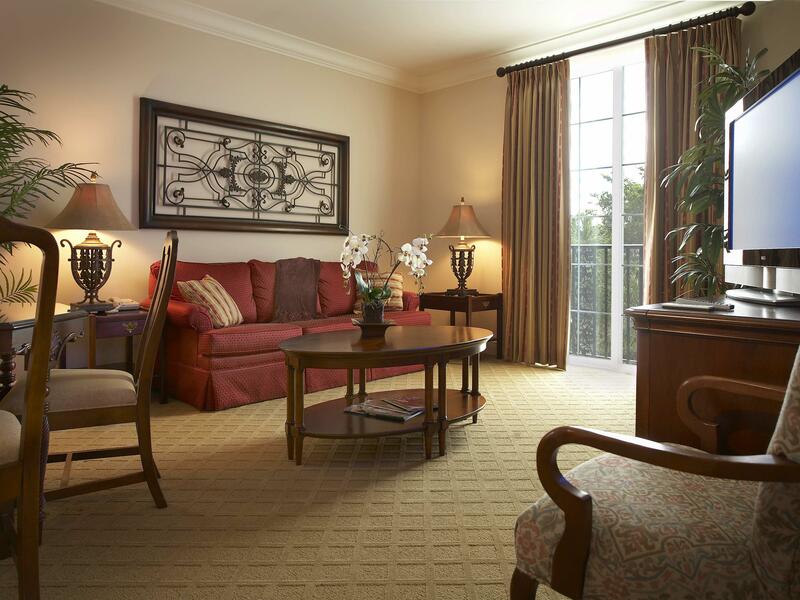 Make yourself at home in our beautifully decorated, expansive one-bedroom Suites offering views of the outdoor pool. 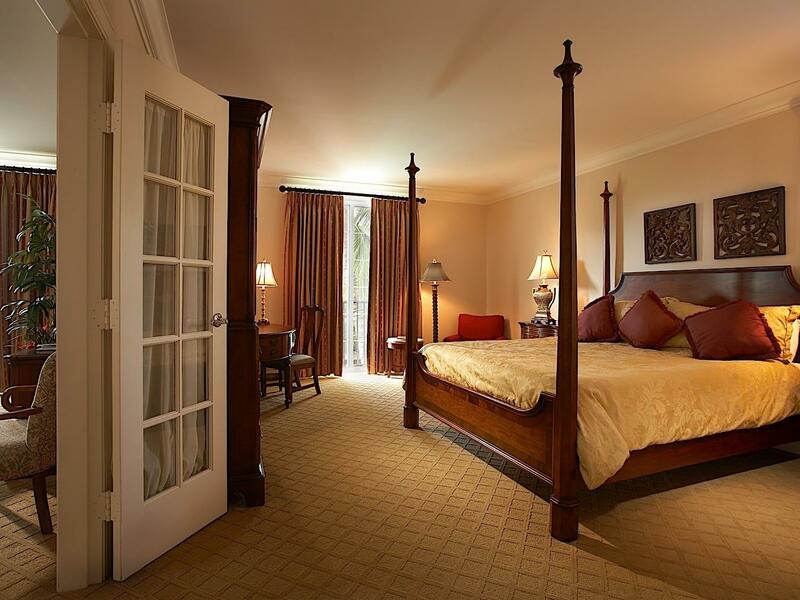 The bedroom features a four-poster king bed, 32-inch LCD flat-screen TV, and clock radio with a CD player. A large bathroom includes a separate shower and tub, while the separate living room features a queen-size sleeper sofa, powder room, wet bar, mini-refrigerator, reception vestibule, dining table, and 48-inch smart TV with a DVD player.